HOLLOW CATHODE LAMP FOR ATOMIC ABSORPTION SPECTROPHOTOMETER. A Hollow Cathode Lamp is a light source primarily used for scientific purposes. These lamps don’t really exist outside of laboratory settings, meaning most people will have never seen one. Most of the time, a hollow cathode lamp is used as a method of tuning in specific light frequencies. These frequencies are used to examine the composition of materials and tune in light-based systems, such as lasers. Depending on the materials used in their construction, the gasses pumped into them and exterior influences, a hollow cathode lamp can shine in nearly any color of the spectrum. 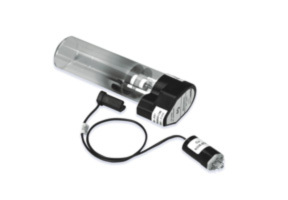 We are able to supply more than 60 different hollow cathode lamps of both 37mm (1.5") and 50mm (2") diameter, 0 variety Deuterium lamps and High Intensity Hollow Cathode Lamps for use with most available spectrometers. High Intensity: Our lamps ore specially designed to emit high intensity at the recommended operating current, resulting in low S/N ratio. Low Operating Current: Our lamps may be operated at only half the instrument manufacturer's recommended current for sufficient intensity, resulting in long lifetime of the lamps. Design: Our lamps ore specially designed to meet or exceed requirements for various types of AAS. and to provide low detection limits for your most difficult analysis. We also manufacture Argon and/or Neon gas-filled lamps. Equality Control: We utilizes Total Quality Control (TQC) to monitor, controlled inspect every single step of the hollow cathode lamp manufacturing process. The materials ore carefully selected in our manufacturing to ovoid spectral interference from the fill goes or impurities in the cathode material . Wide Selection: Single-element & multi-element lamps. 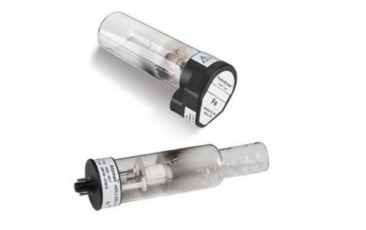 Hollow Cathode Lamps for AAS.